DIY projects can be both incredibly exciting and exhausting at the same time, especially if you run out of ideas in the middle of your endeavor. Even though it seems pretty simple and straightforward, decorating a home is definitely a gnarly task sometimes. The important thing one must remember is to stay persistent and not give up as that can cause more harm than good. In fact, people who decide to give up in a middle of a project end up disappointed in themselves which certainly isn’t something most of us would like to deal with. On the other hand, if you devote enough time and effort, the possibilities are truly endless. You can turn an average-looking space into a beautiful sanctuary by being creative and following your instinct. In case you’re struggling with innovations and ideas, take a moment and check some of these DIY tips and you’ll certainly come up with something that will make your home look much better. Not many people look at a pillow as a decorative piece. Instead, they either put it away in the morning or leave it lying on the bed. However, there are countless things you can do with pillow upholstery to make it more impactful and aesthetically appealing. For example, you can mix various colors and dye it with fabric dye. It’s a great opportunity for you to express yourself through something as trivial as dyeing a pillow cover. However, remember to choose the right color combination, or else it may turn out to be a mess. These methods also apply to bed sheets, furniture covers, and even curtains. 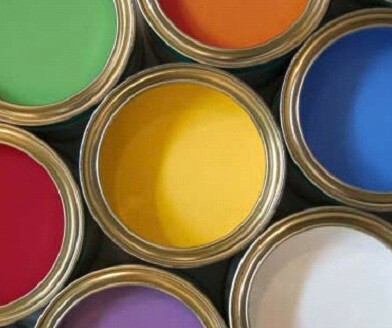 Contrary to popular belief, painting or decorating a wall doesn’t have to be expensive. In fact, you can look at a wall as if it’s a massive canvas that allows you to turn your ideas into reality. On the other hand, make sure you don’t exaggerate with decorative pieces as that can have a negative impact on the overall aesthetic appeal. For example, you can make wall stencils pretty easily in just a few steps. In case you have children, don’t be afraid to give them a couple of paint brushes and let them draw silly things on one of the walls in their room. Needless to say, make sure you don’t leave them unattended, especially around toxic materials such as paint, glue, and etcetera. While a window doesn’t seem like an important part of a room, it’s actually equally impactful as walls are. More often than not, people hang a conventional curtain and call it a day. Instead of hanging the cheapest curtain you can find, try implementing some interesting patterns. If you have a large window in your bedroom, don’t hesitate to incorporate and mix popular designs, or at least, take some ideas from it. Most people have dozens if not hundreds of pictures and photographs tucked away in drawers they probably never open. Instead of keeping those out of sight, you should pick a few that you find interesting or appealing and frame them. For example, you could make a “sweet memories” collage that would consist of pictures you took on various occasions like vacations, prom, your wedding, and etcetera. There are numerous methods you can use to make a cool photo frame out of cardboard, construction paper, and other relatively cheap materials.